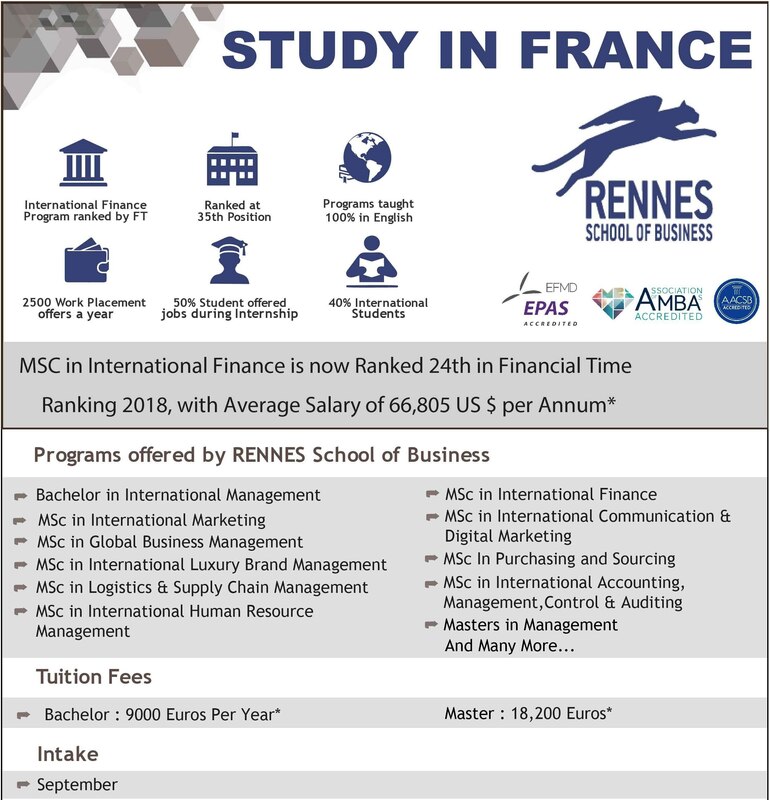 Study In France, Rennes School Of Business, Triple Accredited Business School. World ranking Institute. Courses taught in English. Admissions open for Sep 2019 Paid internships and Stayback of up to 2 years. Scholarships Available *.